Since our hands are not machines, it is an inevitable part of knitting that mistakes will happen. And although they are frustrating, with the proper tools you can learn how to recover quickly. If you are new to knitting, mistakes will happen more frequently, and it is important to note that that is part of the learning process! There is a saying I heard once about perfection in hand crafts, and that you cannot make something perfect because it would offend the gods. Indeed, the slight imperfections are what make things 'hand-made'. For those who strive for perfection anyway, you will find guidance on how to fix common mistakes as well as explanation as to how these mistakes occur. The #1 rule of knitting mistakes, called 'the Prancing Pony', says that if you were to be holding your knitting while riding a prancing pony, would someone be able to see the mistake? If not, it is not worth fixing! One way to identify an error is know what you were trying to do. It also depends on when you come across your error. On the next row? After several rows? After several inches? For mistakes in ribbing, such as if you knitted instead of purled a stitch and discover it on the next row, are easily fixed. See Fixing Knit Instead Of Purl. Identifying the mistake - what does it look like? Is There A Loose Stitch? A single dropped stitch looks like a small loop that is not on your needle. If the dropped stitch has been dropped further, there may be bars going across and a large hole forming. You may have accidentally done lace knitting! This could be a dropped stitch that you 'rescued' on a later row, so there is no loose stitch. Check out the videos for Fixing Dropped Stitches. Is There An Extra Stitch? When extra stitches are formed accidentally, the number of stitches in the row will increase when you didn't mean to. 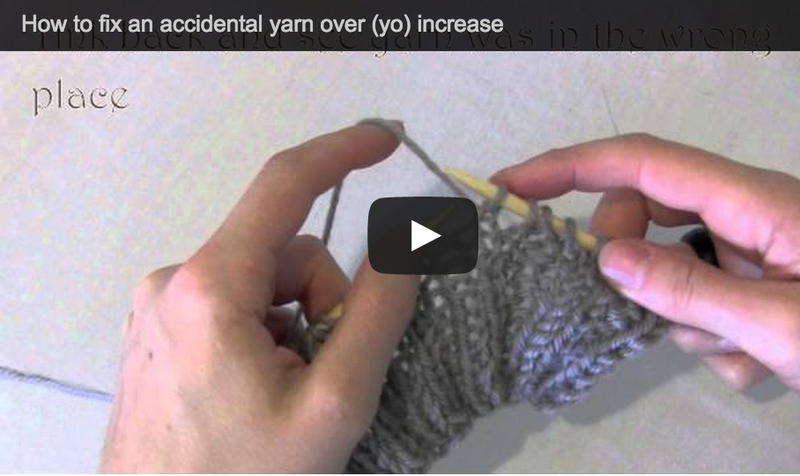 Accidental increases can be due to extra yarn overs (yo) caused by the yarn being in the front while knitting or the back while purling. Check out the videos for Fixing Accidental Increase. Is It Hard To Knit Into? You may be wrapping in the wrong direction, causing your stitches to become twisted. If the stitches are getting tighter as you continue knitting, you might be knitting into the back of the stitch (rather than the front), twisting your stitches. You may have dropped the needle out of the stitches and then put them back on the needle the wrong direction. 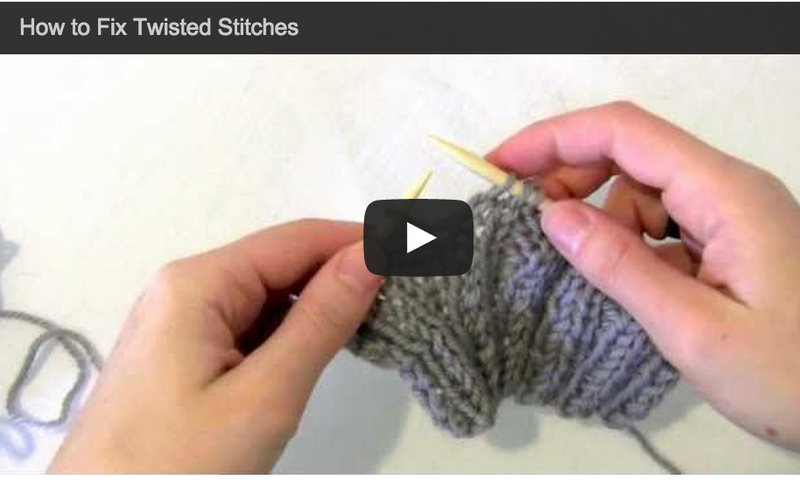 Check out the videos for Fixing Twisted Stitches.